Schoolchildren will be happy this summer holidays as English Heritage have brought Minecraft to Kenilworth Castle. 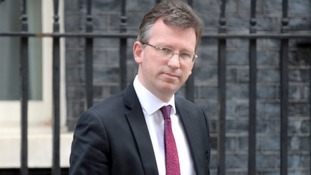 Jeremy Wright, who is MP for Kenilworth and Southam has been given the brief after the resignations of Boris Johnson and David Davis. An application for Alfie Dingley to use cannabis oil to treat his epilepsy still has no outcome, two months after 'positive' PM meeting. Alfie Dingley suffers 20 to 30 seizures each day - but his parents say cannabis oil has helped reduce their frequency, length and severity. The family of a six-year-old boy with epilepsy are fighting for him to be legally allowed to use cannabis oil as a medical treatment. Two women have been taken to hospital after a crash near Kenilworth this morning. West Midlands Ambulance tweeted this picture, and said both patients were initially trapped at the scene. "I’m often asked how I did it. The truthful answer is that I slept very little and my actions were those of a runaway train." A mother of six autistic children tells ITV News Central she believes her husband, who killed himself, was also on the spectrum. Police are concerned for the welfare of 16-year-old Jamie Sidwell.